When all else fails … when you yourself have been caught red handed in a lie, when briefing memos, Congressional colleagues and CIA directors themselves demonstrate that you are lying… well you have no choice but to fall back on the tried and true … Bush lied. Yea baby. The party is unraveling but it ain’t the Republicans. at 4:50 where Pelosi has to check her notes to get her story straight and through her aid under the bus. 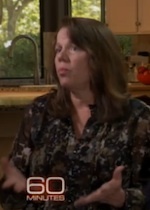 and at 9:10 where she explains Bush was such a bad guy there was nothing I could do so I had to work on getting a majority of Democrats in Congress … not piddly things like national security. Good grief, Pelosi's accusing the CIA of lying? For her sake, she and/or her husband, had better not have any skeletons lurking about in their closets!!! Yikes, you don't want to mess with those guys. Were this a trial, and, what I just heard was Ms. Pelosi's direct testimony, I would give my eye teeth to conduct the cross examination. Forgetting that, I'm wondering if, when she said "the page is out of order" (used when trying to reread her statement as she couldn't answer the queation without it), that is the Congressional equivalent of a teleprompter malfunction? As I say to myself periodically, Ms. Pelosi, "be careful what you wish for" (with reference to hoping that the briefings are released). My guess is, you are pretty sure they won't be released, but this administration does promise transparency. And to the SoundOffSister, I would give my eye teeth to watch that cross examination. 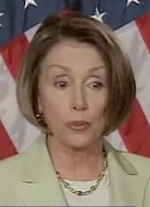 It would make more sense if Pelosi just said "humannahumannahumanna" like Ralph Kramden! This would be ever so much sweeter to watch if it weren't a distraction from the Obama Express and the Democrat Party driving the country off the edge of a cliff. Pelosi is hoisting herself up by her own Botox-ridden petard, and it couldn't happen to a nicer Democrat. Now if only Dodd and Frank could start unraveling as well, it could shape up to be an interesting summer! Well, well, the Speaker of the House was caught with her hands in the cookie jar. This is the same person who in 2006 said that Congress would be the most "honest and ethical". Be careful what you say, it will come back to bite you.